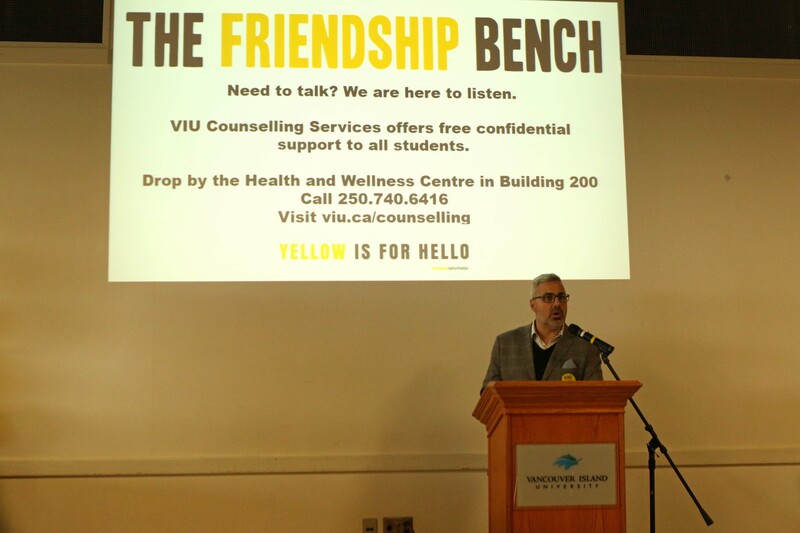 We enjoy – and are grateful for – every unveiling ceremony for The Lucas Fiorella Friendship Bench and #YellowIsForHello student mental health campaign that we participate in. Each has it’s unique character, story, and memories. 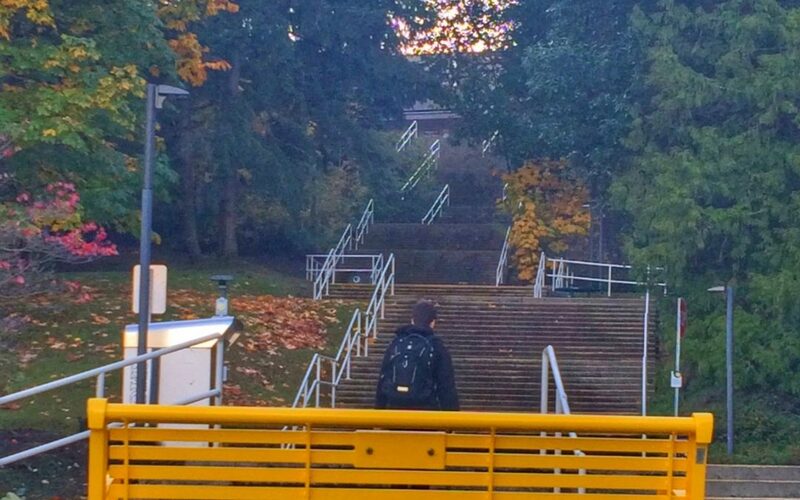 Vancouver Island University in Nanaimo on Vancouver Island is no different. 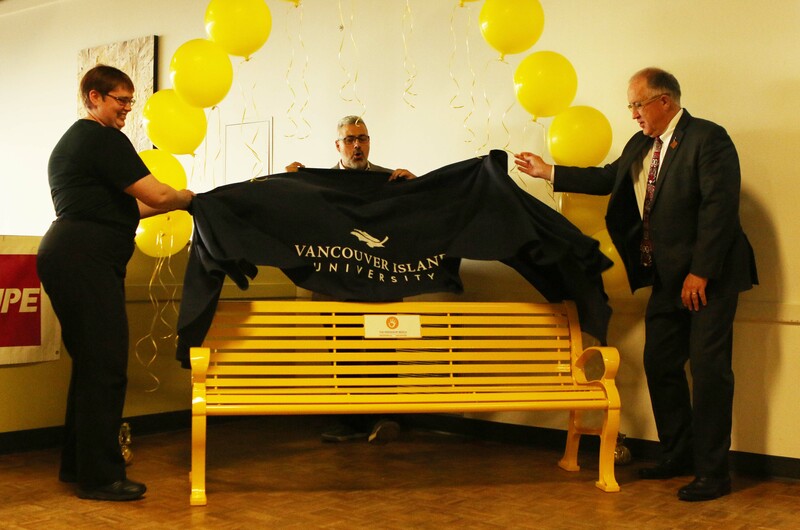 Not uncharacteristically, the west coast threatened rain on this otherwise temperate October day, so the university staff chose to move the bench indoors for the ceremony. As it turned out, it may have been a better environment as we caught many students enjoying their lunches or some social time when we took the stage. 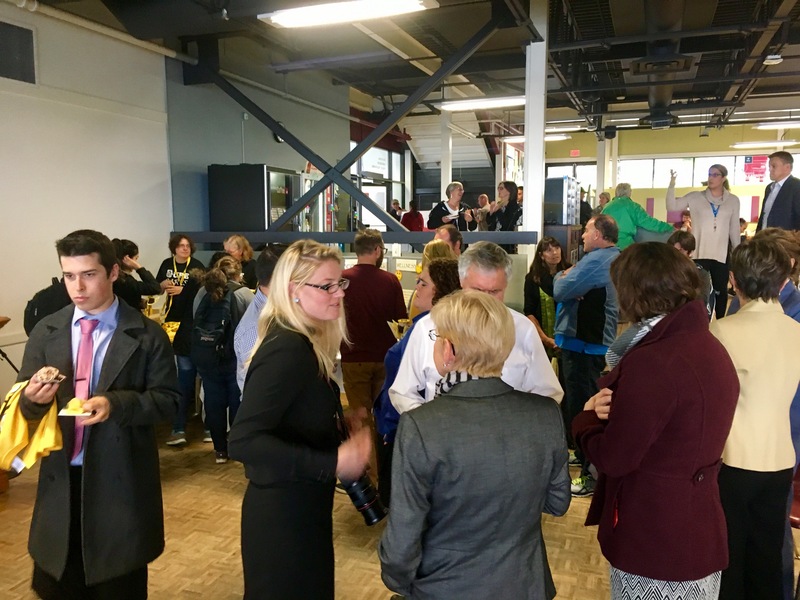 Another differentiator at this unveiling is the fact that CUPE Local 1858 initiated this event through its 2015 during Giving Tuesday, a global movement for charitable giving and volunteering that takes place the day after Cyber Monday, as a legacy piece to honour the local’s 40th anniversary. 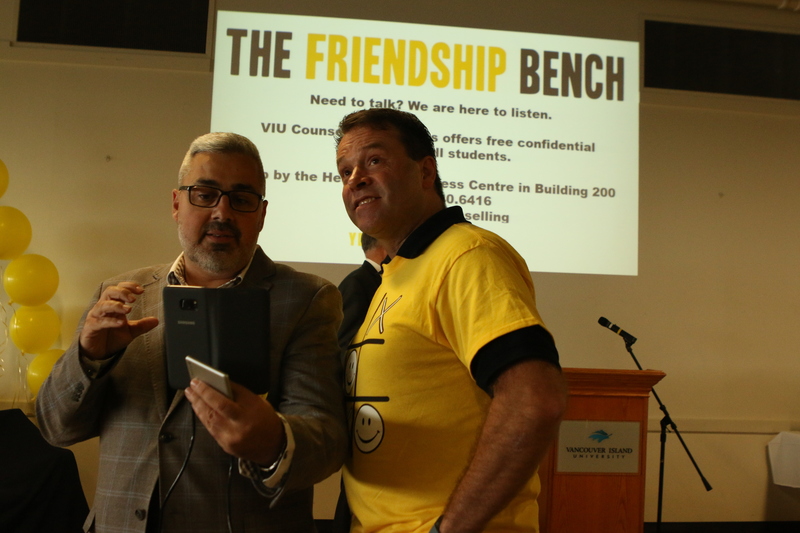 Contributions from both the Local itself and individual members were matched by the VIU Foundation. 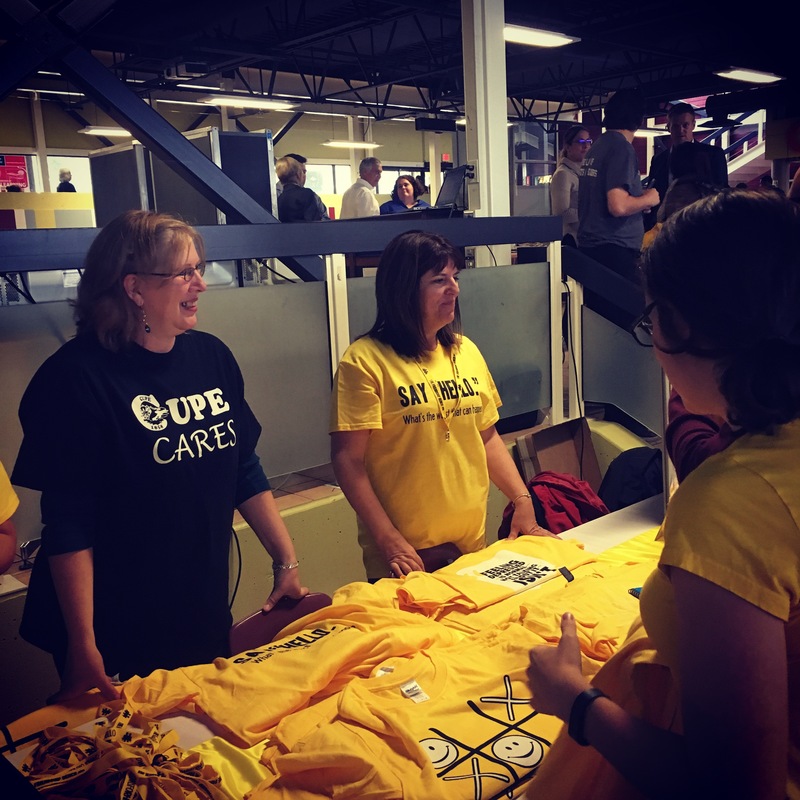 This was the first union collective in Canada to spearhead and sponsor a student mental health initiative. We hope it won’t be the last! 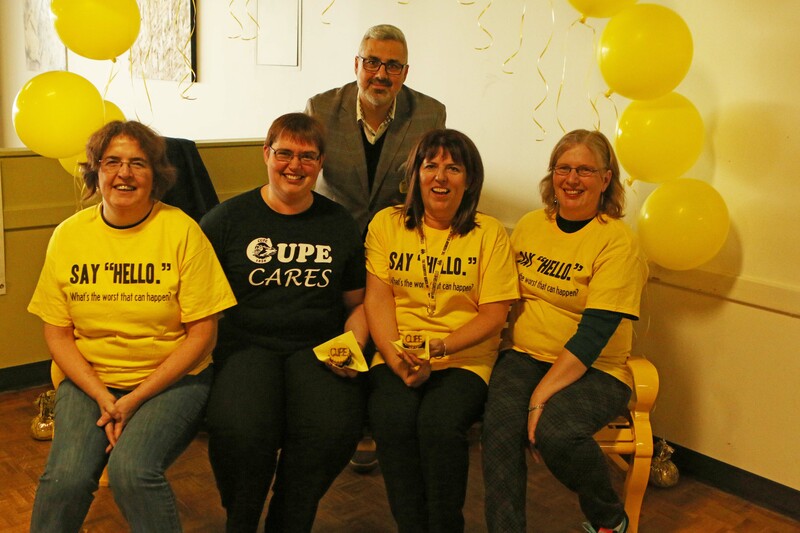 Read more about CUPE Local 1858’s initiative and comments here. 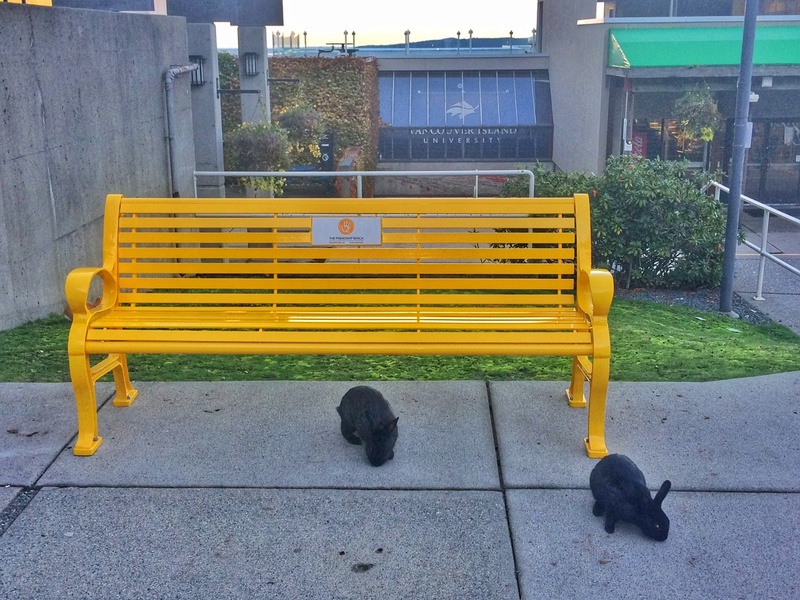 Once the ceremony was completed and the rain let up, the bench was moved to its permanent home, a picturesque and busy courtyard just outside the university’s library. 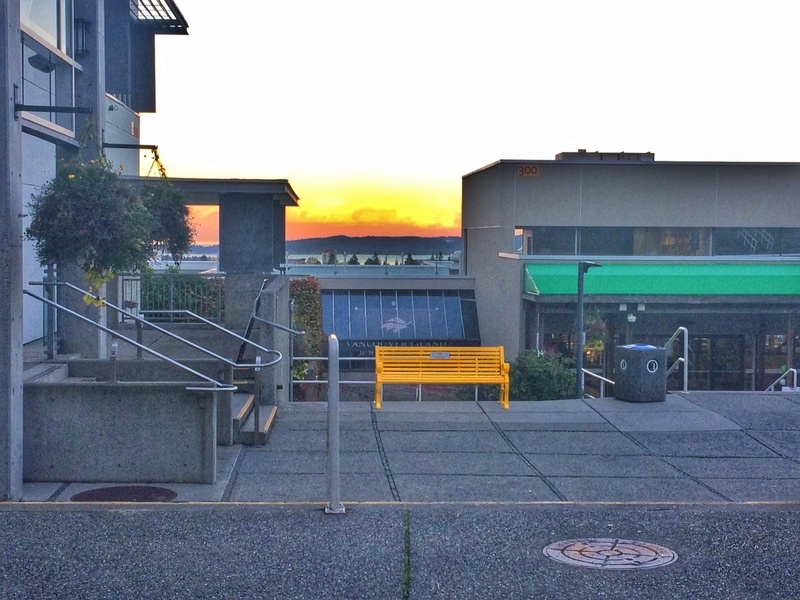 The bench was quickly adopted by students who have begun to use the bench as a meeting place to connect with existing friends and new friends. 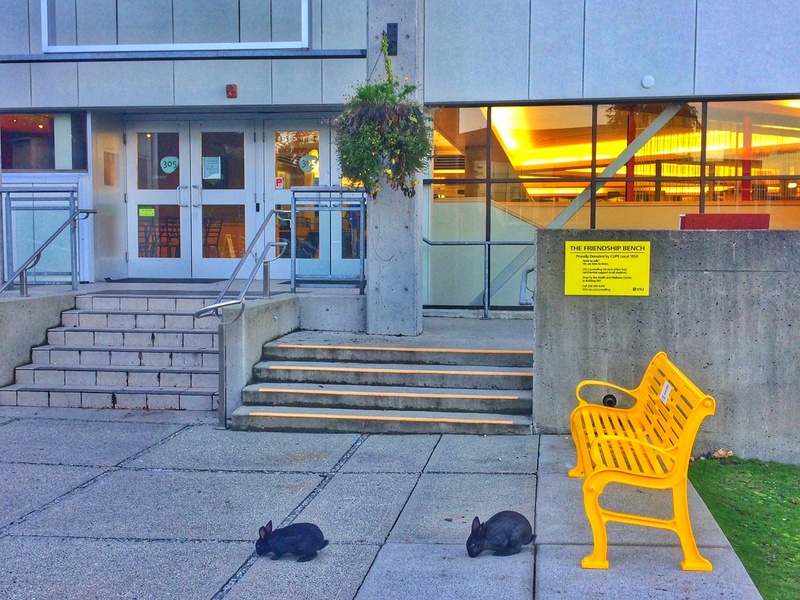 Coming and going – the bench is accessible to the many levels of this university’s unique geographical location. Just outside the library, a wall mounted plaque reminds students of the volunteers who supported the adoption of this program. 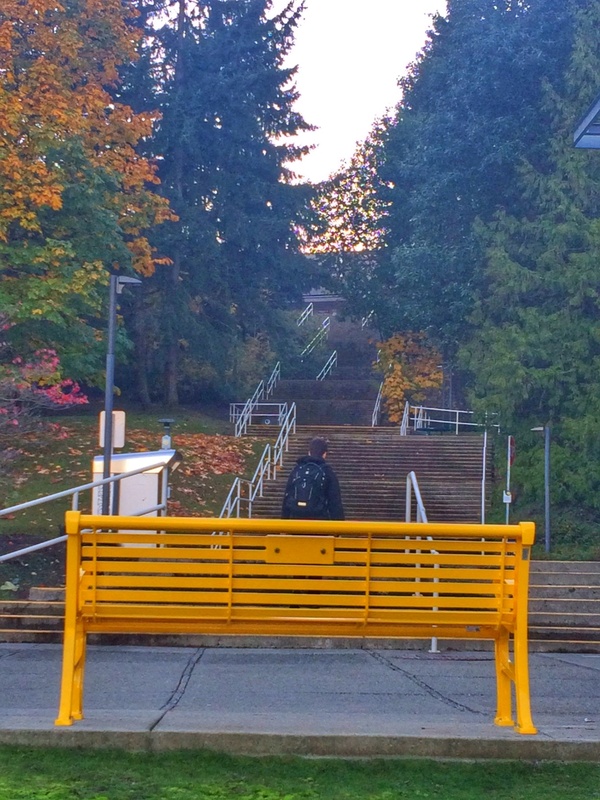 We’re thrilled to add Vancouver Island University in Nanaimo, British Columbia to our growing list of schools participating in the #YellowIsForHello student mental health campaign and look forward to participating in many more initiatives together. Our thanks to CUPE Local 1858, the VIU Foundation, and the staff and counsellors at VIU for all your support.